Want to convert your favorite MOV videos to Final Cut Pro X for editing according to your own preference? You may come across a problem: some of your MOV files can’t be successfully imported. It is possibly because of different codec existed in different MOV files. Final Cut Pro X is famous for its powerful editing features, it is the latest version of video-editing software geared for professionals from a company increasingly focused on mainstream consumers. Final Cut Pro X is a follow-up to Final Cut Pro 7, software Apple released in 2009 as part of Final Cut Studio. Like Apple’s newly released of Mac OS X Mavericks, Final Cut Pro X was only be available to customers through the Mac App Store. 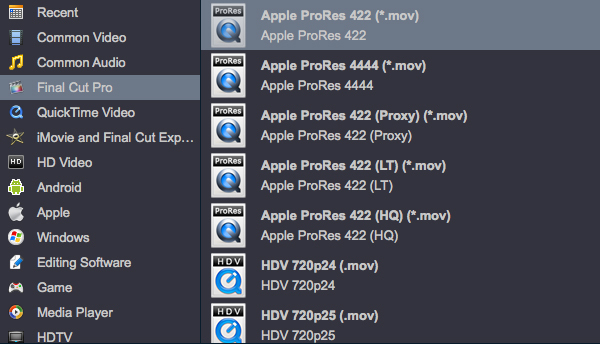 However, not all of these codec can be supportable by Final Cut Pro X. In that case, I recommend you to convert the MOV files to Apple ProRes 422/ProRes 4444 (*.mov) for Final Cut Pro X on Mac. You may ask “How?” This article is going to tell you how to convert MOV to Final Cut Pro X on Mac by using the powerful Aovsoft HD Video Converter for Mac. The MOV to FCP X Mac converter is a perfect program you can trust. Step 1. 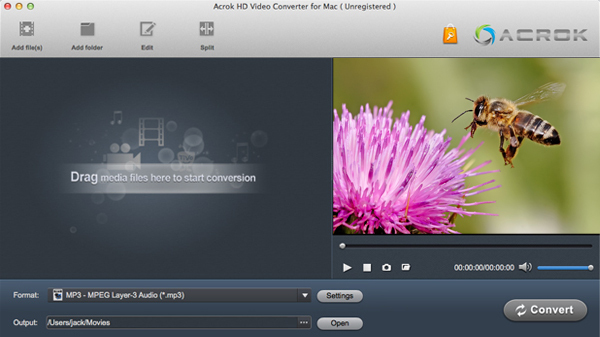 Load MOV videos to Aovsoft HD Converter for Mac. Click “Format” bar and move your pointer to choose “Final Cut Pro > Apple PreRes 422” or “Apple ProRes 422 HQ” or “Apple ProRes 4444” or HD Video > HD H.264 MOV Video (*.mov) as the output format for Final Cut Pro X. After converting and merging the MOV files, just import the output files to Final Cut Pro X and the video is in HD 1920*1080. You can also import the output videos to Final Cut Express (FCE) 4 for editing in full HD. Aovsoft HD Video Converter for Mac is fully featured Mac HD video converting software, providing Mac user hassle-free HD video conversion/editing solutions. It converts Blu-ray M2TS or HD videos like AVCHD MTS/M2TS, XAVC, MOD, TOD, MOV, MP4, MVI, MXF, etc from HDTV and HD-camcorders, 1080p multi-track HD videos M2TS, MTS, MKV, MOV, AVI, WMV, MP4, AVCHD, HDTV, BDAV, MPEG-TS, standard AVI, MPEG, TS, FLV, WMV, MOV and QT videos.